The average American home is around 1,500 to 2,600 square feet, pretty roomy for most families. A standard tiny home is between 100 and 400 square feet. There is some debate about whether or not the size of your tiny home is really the qualifier. Generally, houses under 500 square feet are considered tiny homes. But a new category of tiny is emerging that is more than 500 square feet but under 1,000 square feet, some people are calling small home living. For the most part people believe that the important piece to tiny home living is the desire to downsize and to live the minimalist lifestyle. This means you don’t have to live in a house less than 500 square feet to be considered a tiny home owner. Those people who downsize from say 2600 square feet or even 1500 square feet to 800 square feet would also be part of the tiny home lifestyle. Basically anyone who downsizes to less than half of their previous home, living in less than 1,000 square feet total, could be considered part of the tiny home community by most definitions. Why Do People Move to Tiny Homes? Environmental–they want to reduce their carbon footprint and reduce their use of material things. They tiny home lifestyle is about using and wasting less. People who live in tiny homes generally spend more time outdoors, gardening or just enjoying nature. Financial–they are interested in becoming debt free, living mortgage free, and reducing monthly utility costs. Tiny home living saves you money every month because you pay less to heat and cool your home and you spend less on general maintenance and property taxes too. Quality Time with Family—Many people make the decision to transition to tiny home living so they can spend more quality time with family. This can be quality time spent with family because now you are living in their backyard as opposed to three states away or it can be quality time spent because your family members are now all living in the close quarters of a tiny home rather than spread out in different rooms throughout your old 2600 square foot house. Empty nesters– their kids are grown, grandchildren are getting older, and the idea of rattling around in a 2600 square foot house, except at holiday time, is simply unappealing. For many people the appeal to tiny homes is they involve much less maintenance time and effort. Smaller house means less to clean and take care of, freeing your time for other more important things. Travel—some people go tiny (and mobile) because they want to be able to travel around the state or around the country or maybe even farther. There’s something to be said for being able to travel in a way that takes all of your worldly belongings, albeit less belongings than before, with you wherever you go. Minimalism or Simplicity—Many people have realized that the traditional American Dream that dictates you must keep up with the Jones’ and buy the huge house, fancy car, and all the amenities to be happy, is false. There is something to be said for the process and sometimes cathartic experience that comes with sorting out and getting rid of all those material possessions that weren’t being used much anyway. Have it YOUR Way—some people make a decision to transition to tiny home living to avoid all the regulations and building restrictions that dictate how a house must be designed or built. Tiny homes are one way to be able to design your home the way you want it, without having to meet all those pesky and sometimes illogical building codes. Back to Roots—Early settlers built log cabins that were often no more than a one room cabin 16 x 16-foot square, less than 300 square feet, sometimes double that if a second story or loft could be added. Size and space was largely dependent on whether or not a man had help to build his cabin or was building it alone. Not only were early log cabins small, but families with their children and several extended family members all lived together back then. Typically, the wife’s widowed mother, or the husband’s parents and maybe an elderly aunt or uncle, all lived in that one room cabin. People who long for simpler times realize that living in less space is not only possible, it can be less stressful than large home living. Tiny homes are intended to be self-contained, very similar to an RV type camper. This means that everything you own is all in one place, inside the tiny home. Because the home is small, it is more easily defended. You will know immediately if your house has been breached by an intruder and you don’t have to worry about whether someone is in the garage or basement that you just can’t see yet. While some people choose to live tiny in one specific location, many tiny homes are designed to be mobile. This means that you can more easily move your tiny home to another area if things are getting dicey in your current location. Technically, if you build your tiny home in the right way, you could move frequently to stay out of harm’s way from looters and zombies looking to take your supplies. if you are living in one when SHTF, your daily routine will be intact. You will still have power, still have water, and still have heat. As long you stock supplies and/or have a garden or other way of securing food and water, and are prepared to defend your tiny home, you should be in good shape longer than most people. If you are thinking about making the transition from regular house living to tiny home living, the first thing to do is to a couple of them in person. It’s one thing to see them online and on TV but before you make a lifestyle change like this, you need to visit a few tiny homes in person. Actually stand in them, lay down on the beds, step into the shower and try it all on for size. After you’ve toured a couple of tiny homes, the next thing you need to do is to talk to people who currently are living or have lived in them. And the best thing to do would be to talk to people in both situations. Find someone currently living tiny and ask them how they like it, definitely. But if you want to get the real scoop, find someone who used to live in a tiny home but has now gone back to traditional house living. Talking to former tiny home livers will give you some insight into the kinds of issues you might face when you make the transition. Online forums or even the annual Tiny House Conference are great places to find people from the tiny home community. Another thing that you have to spend some time on before you actually make the transition to tiny home living is researching and identifying where you will park or build your tiny home. Most people park their tiny home behind a relative’s house or they buy their own land and park or build their tiny home there. There is some controversy and debate over the legality of tiny home living long-term. Many people have been resorting to campgrounds and RV parks to park their tiny homes. Still others have found that they are required to move much more often than they originally intended because of local zoning regulations. Make sure you have thoroughly researched the building codes, size requirements, alternative energy restrictions, etc. for any potential place where you plan to park or build your tiny home. But What About Storage Space? Probably one of the biggest mismatches between the tiny home lifestyle and the prepper lifestyle is storage space. 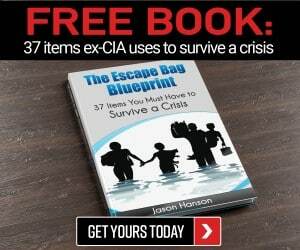 Most preppers are stockpiling supplies for whatever disaster they feel is looming over us. This means that the tight quarters of a tiny home could be a problem because there is traditionally very little storage space. So what’s a prepper who wants to live tiny to do? The first thing you can do is make sure that you get a home designer who will understand your storage needs. Make sure that you have storage built into any space that isn’t already claimed. This means under the stairs, under the beds, in the floor of the loft, and anywhere else that your designer can make storage possible. Make use of the walls for hanging things you need to store and use any vertical space you can to increase your storage options. 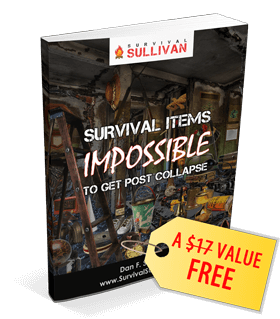 The second thing a prepper who want to go tiny can do to compensate for lack of storage space is to make sure that they have thoroughly decluttered and minimized all of their belongings. If you are going tiny, you will need to pare down what you own anyhow. But one way to make room for your stockpile is to get rid of all the material things that you stored in your bigger house but really never used. Do you own skis but only use them twice a year if that? Then sell your skis and put some money in your budget so you can rent them when you go. The third thing a tiny house prepper can do to make a smaller space workable is to be organized and flexible. Get creative about the systems you can put in place to help things stay organized. The old adage, a place for everything and everything in its place will definitely help make a tiny house workable. The other piece of this is to be flexible and when you find a system isn’t working as well as it was for whatever reason, get busy and create a new system that works better. The fourth thing a prepper who wants to go tiny can do to make a tiny home feasible for their prepping lifestyle is to shift their mindset from stockpiling to skills. The more knowledge and skills you have, the less you need to store and stockpile. Think about that for a moment. If you know that no matter where you are, you can grow your own food fairly easily, you don’t have to worry about having an entire year of food stored in your tiny home. Finally, if you love the idea of a tiny home but can’t bear the thought of paring back to the bare minimum as far as belongings, you can forego being easily mobile and build some kind of secondary storage space on your property separate from your tiny home. It could be a barn, a shed, even an underground bunker. When it comes to making the tiny home transition, you are definitely going to have to do your homework, as we mentioned previously, about the laws that will apply to you. We mentioned laws about parking or building your tiny home but you also have to consider the laws regarding how you heat, cool, dispose of waste, get your water, and power your tiny home. Make sure that whatever spot you choose to park or settle on, you are ready to either obey the laws of that location or face the consequences. If you choose to go legit, then make sure you get the help of a contractor, builder, or someone else who is familiar with building codes and regulations. This person can be your advocate in getting permits, applying for variances, etc. to ensure that when your home is finished, everything is legal and above board. Learn the language and codes as they apply to your situation, especially if you are walking the line between legal and illegal. When a complaint is filed or someone comes to inspect your tiny home, sometimes knowing and being able to cite the codes and how you “actually” do meet them will get authorities off your back. Some of you will choose to take a chance and operate under the radar for as long as possible. Just know that if you choose to go this route, you may need to play some other games to maintain your cover. If you are supposed to be living in the main house with your “friend” but you are never seen going in and out, that can blow your cover. Make sure you are seen behaving as if you lived in the main home. Mow the grass, take out the trash, etc. Neighbors can be your worst adversary when it comes to tiny home living under the radar. You will also want to be a good neighbor and go out of your way to be kind to people. Your neighbors can either support your cover story or turn you in. Make sure you don’t share too many details with new neighbors right off, maintain your cover story until you know you can trust them with your true living arrangement. Many people have been building their own tiny homes and putting them on wheels. This began as a way to skirt the building codes and has now morphed into an entire movement called Tiny House on Wheels (THOW). Some people are spending about as much money building their tiny home on wheels to their specifications as they would spend on building an entire traditional large home structure. The difference is, once it is built, it is typically paid for and there is no debt. Many people purchase or have their THOW custom built to include all the luxury fixings including things like granite countertops, custom Ikea storage items, and luxury flooring and tile. Other people, perhaps with less discretionary income, build their THOW themselves a little bit at a time or convert an existing vehicle or structure until they have the final product which is functional for their family. There are a whole group of people who are using traditional RV’s (recreational vehicles) to join the tiny home movement. Although RV’s were originally intended to be short-term, vacation housing, they are built to be fully self-contained which is great for anyone who preps. Many people, preppers and non-preppers, are now modifying RV’s to be used as year round housing. Pull behind camper trailers and mobile homes have always involved “tiny” living. Many of these are under 800 square feet anyhow. Campers need modification in order to live in them year round in cold climates but mobile homes are typically already year round houses. With some modifications, campers and mobile homes can use renewable energy sources such as solar power and be self-contained using a composting toilet and rainwater catchment system. These wagons are very quaint, the most famous one is probably the one from The Wizard of Oz, if you’ve seen the movie, you will recall the scene where Dorothy and Toto run away and come across the traveling salesman/crystal ball reader (who later looks an awful lot like the wizard). He was traveling in a Vardos. They are definitely tiny and usually on wheels for mobility. Obviously houseboats were intended as longer term housing. Sailboats were originally intended for short term trips. Many people are turning to these vessels as their choice for permanent tiny homes. For the prepper who loves the water and wants to avoid traffic jams and hordes of zombies trying to steal supplies, a houseboat or sailboat just might make the perfect tiny home for a post-SHTF event. Shipping containers are also making the news recently as people from both the tiny home and the prepping community have started using them to create secure homes. Obviously a shipping container home won’t be easily mobile, although you could trailer it I suppose if those resources were available. Shipping home containers can be professionally modified by one of several companies or you can modify it yourself. The biggest benefit of shipping container homes is their heavy duty roof, designed so the containers can be stacked. But using just one short shipping container, would still be considered a tiny home. Many preppers are using shipping containers to go one step further and create multiple floor housing or even compound housing (put four containers in shape of a square, with common area in the middle). This layout makes for a more easily defended compound. A yurt in my opinion is a cross between the traditional canvas teepee and a tent. They are generally round with a dome top and are made of heavy canvas with plastic sheeting for the window. They are considered a semi-permanent structure but they are insulated and generally around 800 square feet. The couple in the video below seems to have made it work although they’ve added walls and closets where most yurts are just one room. I can’t imagine that a grid down event would disrupt their daily life much at all. Cob House—made of materials like clay, straw, and sand typically right from the ground where the cob house will eventually be built. 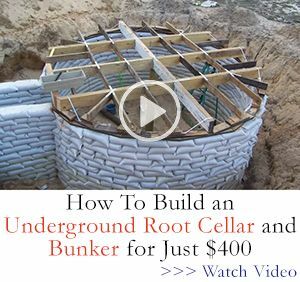 These are relatively easy to build, they are less damaging to the environment, and are pretty inexpensive to build as well. They are typically built by the owner and people that come together to help. There are cob construction workshops that can show you everything you need to know to build one, no architect degree needed. One of the main draws is the all-natural, no synthetic construction. Cob houses are also very strong, earthquake resistant and can last hundreds of years. They are fire proof (except possibly the roof) and are resistant to termites and burrowing animals that can cause damage to traditional homes. There is definitely something to be said for that old secret retreat from our childhood years. Treehouses of today run the gamut from the DIY version similar to a childhood treehouse to the luxury treehouses that are being built by companies like BlueForest. People do live in treehouses full time, although most people use them as a vacation house, office, or exercise room. For preppers, a well-designed treehouse has many benefits, the biggest of which are security, isolation, and privacy. A treehouse is definitely easier to defend from intruders trying to get your stuff. In many cases looters and zombies will go right on by without even knowing your treehouse is there if you’ve done it right. Plus you have the best view of the area so you’ll have plenty of warning if anyone gets close. No matter what your circumstances, if you are a prepper looking to join the tiny home movement, you should be able to find the type of structure that will suit you. If you’re more concerned with reducing your environmental impact and using natural materials, go with a cob house. If your survival plan dictates that you be mobile then look at a THOW, an RV, a Vardos, or a converted school bus. The most important piece is not only planning it out but actually getting around to making it happen! While I understand an commend those that advocate a move to more condensed living, it is also a circumstance-appropriate choice. That said, it is something I would try with a decent RV in case I was widowed down the line, or something like that. But the current state of economic and social affairs in the US is very concerning right now. With the lack of jobs and job security and the lousy salaries that most employers are putting forth, I see the multi-generational house business model coming into vogue. At last check, 54% of college grads wind u moving home, and REMAINING there for extended periods of time. The price of decent housing is ridiculous! Most 20 and 30-somethings are having a hard time coming up with either the down payment, the credit OR the finances to qualify for their own home. Multi-generational living has been used in many countries like Japan and others for decades, and necessity is now forcing American households to adopt this business model. We live in a monstrousity of over 6200 sq ft. One factor about square footage that is not even debatable, is that it gives you OPTIONS. With 2 daughters in their late teens, marriage and family is coming closer. With the size of the rooms, and the 3 floors, modifications can be made to accommodate BOTH girls with spouses and 2 or 3 children apiece while having enough separation to maintain sanity. While both girls still live at home for the time being, what’s going on out there with America’s finances scares the hell out of me. 20 trillion in debt with NO way to pay it back…. That ain’t good. Rioting, violent political dissention on the rise, aging electric grid, dishonest govt, blah blah… We keep to the old adage, “I would rather HAVE it on hand and not NEED it, then the reverse.” If nothing happens out there collapse-wise, both girls get married and land on safe footing job-wise, get married and are comfortably self-sustaining, then we can always unload this gargantuan cavernous house. But until I’m SURE we aren’t going to need to utilize it in the future for a “crash” scenario, we’re gonna stay put. Again, the benefit of square footage? It gives you OPTIONS. A tree house to me is one of the most dangerous ones as you are a sitting duck, no where to go when your enemy sets fire to it, or a forest fire, tornado. I decided that getting 56 acres off grid secluded land close to a river, a 32 foot later model motorhome, with all the amenities including washer dryer ect. solar and wind gen. batteries and inverters, a small 14 foot boat and a 4 wheeler for less than 60K was a better option for me. It gives that mobile option in worst case scenario. No place is totally safe so all you can do is limit the amount of threats and try to obtain all the means for escape and the latest tech for security as well as the old school traps and early detection and out of the main stream of traffic.